I love making treats at Christmastime. This year we seem to be enjoying treats from other people with the baby coming, but I'm hoping to squeeze in a few of our favorite treats. 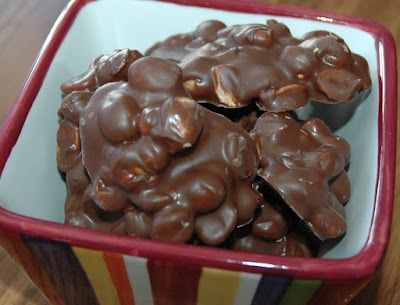 Every year I make Chocolate Covered Nuts...and I usually hide them in the back of the fridge hoping that no one will notice them so I can eat them all myself. Delicious! And super easy! Just melt three kinds of chocolate chips in the microwave. Stir in nuts. Drop on a plate and refrigerate. 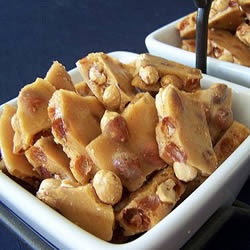 Microwave Peanut Brittle is another favorite that I make every year. It has worked out great everytime, except when I tried to make a double batch at the same time. That was disaster! And two years ago when I tried to half the batch and cracked my pyrex bowl. Just follow the recipe exactly and it will work out perfectly! My kids love making Pretzel Hugs to give to their friends and teachers. 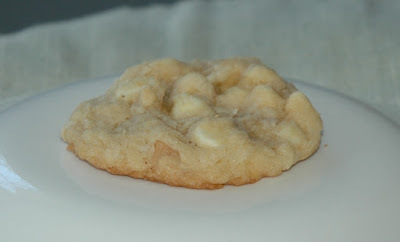 The last several years we've made my favorite Macadamia Nut cookies to leave out for Santa. He eats them everytime! Two years ago I made Candied Cinnamon Sugar Almonds from Mel's Kitchen Cafe to give away to friends, but I think I ate them all myself. They were that good! Every few years I make my childhood favorite recipe for fudge. No picture, but super good! Great for sharing. We love to bag up Carmel Popcorn and give to friends.